Life is unpredictable and a number of events could lead to you becoming a single parent and sole provider. It can be quite a challenge to balance the cost of raising your child with your own financial and career goals. A little forward planning can help steer you through the financial hurdles that might pop up. We’ve put together a short guide to help you when you’re drawing up a financial plan for you and your child. It’s always a good idea to set financial goals for yourself and your child. What type of lifestyle do you want to live? How can you change financial habits now to help you live the life you want to live? The very first step is to put all this down and develop an action plan. The back up plan is estate planning. Make sure that your child is taken care of should you die. Draw up a will, go through important financial documents with your planner and have a solid plan in place. Your financial planner will help you to identify anything you may have overlooked and challenge assumptions you’ve made so that your plan doesn’t cause chaos in the event of your death. It’s also a good idea to involve the people you’re considering as guardians and/or executors of your estate in your current financial plan so that they know what’s up. Keep them in the loop should anything change too. Start as early as possible investing in your child’s education. Have a good look at the schools you’re considering, what the current fees are and then forecast. Usually school fees go up about 10% – 12% per annum, so sit down with your calculations and work out how much you’ll need and then work backwards. Again, your financial planner should be able to help you out with any complex calculations (to determine the minimum amount you need to be putting aside monthly). Remember that there are 4 schooling stages: pre-primary, primary, secondary and tertiary. Find an investment plan or product(s) that will allow you to access monies during these times. You should also look at opening a tax free savings account for your child or children. This can either be used for paying for their education or you can hand it over to them to manage when they’re older. Invest in your own education. Your education means career advancement and the potential to earn a higher salary which will benefit both you and your child. Neglecting your own advancement is not healthy. and (if there’s still some money left over) treating yourselves. This is important and should not be left out of your financial planning. The last thing you want is to be a burden to your child or children because you have no money and therefore cannot take care of yourself after retiring. You should also make sure that what you’re putting aside will be enough. Retirement planning will be easier for you if your employer offers a retirement package. Remember not to withdraw finds when you change jobs. Leave your retirement fund and let the power of time and compound interest work for you. It’s also a good idea to save on the side. Take advantage of tax-free offerings, with a long term view and let that work in your favour as well. If possible have no debt or have as little as possible. Debt can hinder your financial plan and progress, especially bad consumer debt. If you have too many credit cards and store accounts, your monthly obligations will become burdensome and you’ll struggle to keep up. A healthy debt:income ratio also increases your chances of qualifying for a home loan. Don’t let debt and poor financial decisions get in the way of you and your goals and dreams. If you need assistance with getting our of debt you can check out Part 1 and Part 2 of out debt elimination series. Anything could happen at anytime, you should be prepared for something as small as your child losing their sports kit to something big like losing your job. Most people recommend having three to six months worth of living expenses set aside in a not-so-easy-to-access account for big changes (like losing your job) and having another stash for smaller emergencies like a leaking geyser or that tog bag that might grow legs and walk away with R3000 worth of cricket gear. Another important one. Children get sick, they climb trees, fall off and break limbs. You need to have adequate medical cover for you and your child so that you can be taken care of properly. Private medical care can get ridiculously expensive and coughing up cash can leave a huge and very difficult to fix dent in your savings. Do your research properly when you’re choosing a medical aid. Look at cos and what value you’re getting for the money you’re paying. Pay special attention to restrictions. Life cover and disability cover should not be left out of your financial plan. Life cover should be an intimate part of your estate planning. You need to insure that your child or children will be taken care of if you die and that the money will be enough. Don’t go for cheap, because it’s cheap for a reason. Shop around and ask your financial planner to help you. Remember, you want to make sure that life will be as comfortable as possible without you around, so choose your life cover wisely. It’s also a good idea to get disability cover should you lose your capacity to work and earn a salary due to a disability. Your disability cover will come in handy and you can at least commit to your financial obligations. Do this as soon as possible. 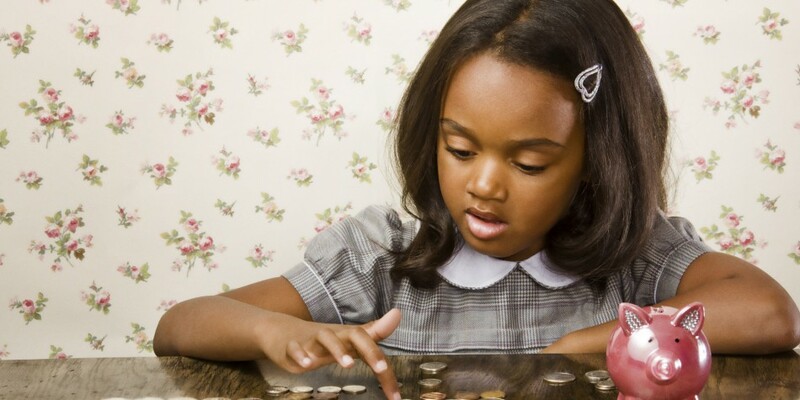 Be open about money and sit down with your child when you’re doing your weekly and monthly budgeting so that they know where money is going and how you run the household. You should also let them manage their own money and draw up their own budget. This could be especially fun with children who are older as you can both be accountable to each other because they’ll ask questions and you’ll be forced to explain yourself. Encourage your child’s entrepreneurial spirit by letting them come up with ideas to make extra money. Ask for help. Ask family, friends or Google. You don’t have to walk this journey alone and a great support system is most welcome when you have a lot to deal with and need a helping hand. Don’t be stuck in Superparent mode, you’re just making things difficult for yourself and your family.